Depending on the day and time you would like to come in to bowl at Saddleback Lanes, there may or may not be a per-game rate available. We always have a per-hour rate available. Saddleback Lanes is home to leagues for bowlers of all skill levels and ages. If you have any further questions about leagues, you can call the center at (949) 586-5300 or email Lewis or John. Booking a party at Saddleback Lanes is as simple as throwing a bowling ball! Please call the center at (949) 586-5300 to check for lane availability and to schedule your event. It’s time to have a ball with your friends, family, coworkers, or all of the above at Saddleback Lanes. Our group reservation packages are based off of five bowlers per lane. Included in the package is an hour, 50 minutes of bowling and up to five shoe rentals. A sixth pair of shoes may be added to the reservation at an added cost of a shoe rental. Don’t take a chance on being put on a wait list. 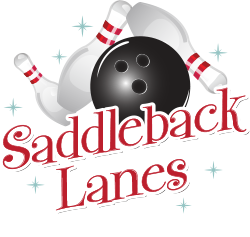 By reserving your lanes today you guarantee your spot at Saddleback Lanes whenever you want, with whomever you’d like to bring.